Abrasha is a metal artist who creates contemporary jewelry from unexpected combinations of precious and non-precious materials in forms well beyond traditional jewelry concepts. 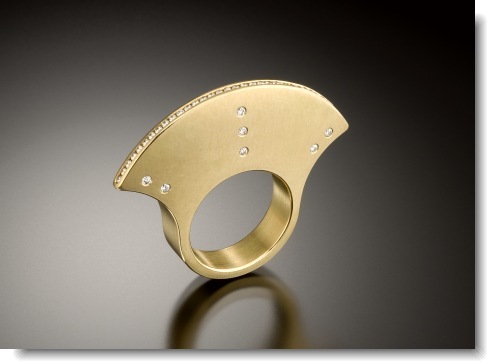 His work encompasses a vast range and covers all aspects of jewelry making. From simple wedding rings, cocktail rings, earrings and pendants, to major one-of-a-kind pieces like necklaces, bracelets and brooches. He also fabricates unique judaica (Jewish ceremonial art) for exhibition and commission. His work is sought after by private collectors as well as museums, and it is part of the permanent collections of the Renwick Gallery of the Smithsonian American Art Museum in Washington, DC, as well as the Oakland Museum in Oakland, CA.